Wow, this summer went by so fast! I usually do a monthly newsletter or update on my blog, but July and August were very hectic and ended up skipping last month’s update. I am glad that it is September, not just because fall weather will arrive soon, but also after a few months off I am now back to giving presentations and teaching genealogy. Coming up first is my 4-week genealogy course at Monty Tech in Fitchburg, Massachusetts. I will cover everything you need to get started on genealogy and there will be open research time, so students have a chance to receive individualized help on research problems. Reserve your seat now and register at montytechnites.com. So much is going on right now and for that reason, I didn’t really slow down at all this summer. I’m working on new lecture topics, interesting research cases, booking programs, and sticking with the ProGen Study Group. 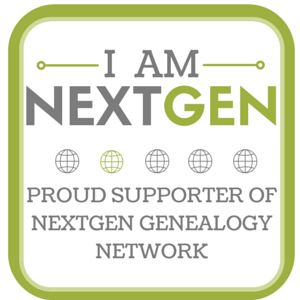 For those thinking about a career or part-time job in genealogy, I’d highly suggest signing up for ProGen because the feedback and support from your group is invaluable. You also have a chance to see a variety of approaches to the same assignment, which for me has provided inspiration. September is traditionally back to school month, so it feels fitting to be visiting so many repositories and learning about what collections of school records they might have. Last month, you may have read my blog post “School Days: A Trip To Boston City Archives,” demonstrating that amazing collections and genealogical sources are not always online. In surveying what school records have survived in Massachusetts, there is so much variety and many possibilities to learn about your ancestor’s education experience. I will be debuting this presentation for the Massachusetts Society of Genealogists’ webinar series on November 15th and subsequently this proposal was accepted for the New England Regional Genealogy Conference, which is happening in April 2017. You can find out more about the conference at nergc.org. Looking for more resources, visit the Legacy News and Research Toolbox page on my website to access more tips and links! I was also able to connect with a new cousin, Ciaran from Galway, Ireland who descends from my 4th great-grandfather Bartholomew Oliver. I’m pleased to hear that the Oliver descendants not only continue to live in the same neighborhood of Galway, but stuck close to their maritime roots. Ciaran and his family offer tours of Galway Bay by boat, you can check out their website at http://www.galwaybaytours.com. I already added this to my bucket list and I yearn even more to travel back to Ireland!